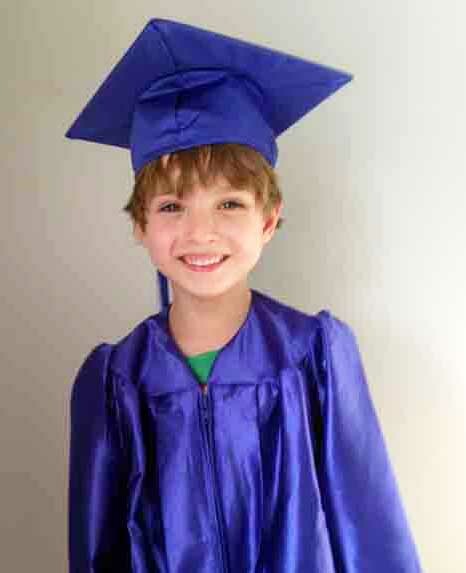 This is a landmark day for the Furrows: Jacob, our oldest grandson, graduates from preschool this evening and then he’s on to Kindergarten. What a bittersweet day for Jake and his family. It is sweet because we are all so proud of Jake and excited for this next adventure. It is bitter because this means he is growing up just too fast. The time spent sitting at his little table learning from his mom, coloring with his brother and enjoying adventures throughout the day will be coming to an end in August… until next summer vacation! Sometimes I think I’d like to look ahead and see into our grandchildren’s future, but if I could, would I really want to? What would I see for Jake? Would I see a beautiful girl break his heart, or true love? Would I see him give in to fear or conquer it? Would I see him lazily get by, or excel? Would I see him surrender to the culture or boldly stand against it? Would I see him step away from the path his parents are training him in or continue on it? Based on Jake’s personality and the bent of his nature, if I were a betting woman (which I’m not) my bet would be on true love, fearlessness, Ivy League, standing on the Solid Rock and walking with God. Will there be struggles ahead for Jake? Definitely. Would I want it any other way? No. It is through the difficult times that God will stretch and grow Jake so that he will become the man who stands firm. 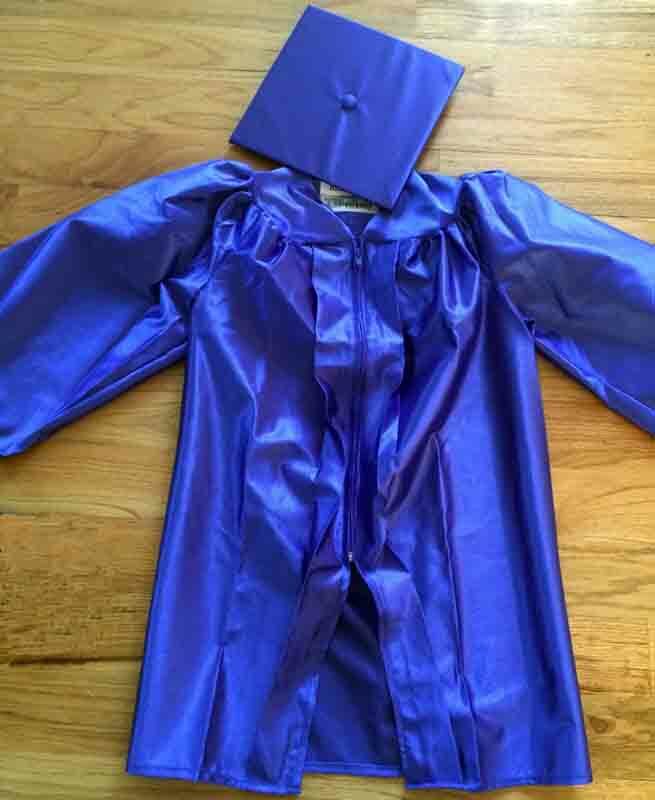 What will be the difficulties in life for Jake, and all the other little boys and girls who are graduating with him? We don’t know. Will they be able to practice their faith freely? Will they grow up in a world filled with hatred and intolerance toward Christians? What kind of religious persecution will they face? Will they have to hide in basements to worship Christ? Does it matter? This doesn’t mean that life will be rosy, that nothing bad will happen, and that we will all be well taken care of, it doesn’t mean a life of ease; it does mean that we have been given a glimpse of the future, and God is there! God is there directing every circumstance. God is there protecting his children. God is there providing hope. God is there saving souls. God is there loving the world. Because God is already there we can live without fear, resting in his salvation. Faith and fear cannot coexist; if we are trusting in God, we will be fearless. We don’t need to know if there will be bullies, unforgiving classmates, or a sense of humor that is not quite understood. We don’t need to know if there will be heartache or heartbreak, if there will be athletic or academic success. We don’t need to know whether or not our religious freedoms will last. What we do need to know is that God endures and he is more than able to carry us through every one of life’s changes. This is what we must teach our children. This is the truth that will see them through whatever the future holds. This is the truth that enables us to let go of our children, one milestone at a time, from preschool to college and beyond. This is the truth that enables us to hold on to the sweet things of life and trust God with the bitter. As you face the future, for yourself or your children, do you look forward in fear or do you look forward in hope – trusting that God is already there, and has the future firmly in his grasp? When fear knocks faith answers. Thank you Marcia! Your words are realistic and very encouraging! Exactly the words I needed to hear today as I wonder about the future for my little boy (2 1/2, what?!) and waiting to meet face-to-face my little lady (4 more weeks, give or take!)! The world doesn’t surprise me at all but am resting on God to do great and awesome things for His children because He has, is, and always will. Prayers and thanks to you sister.